2010 Bay AmQHA Mare 15.2 hands. A very big Congratulations to REBECCA FATCHEN on the purchase of this outstanding mare. I look forward to watching your continued success. SHES GOOD HOT STUFF adds a further GOLDEN STRING to the tight bow of Coronation Park Studs outstanding Broodmares, We strive to produce for you our clients and Trainers, horses from proven family’s of champions that hail from many generations of champions. 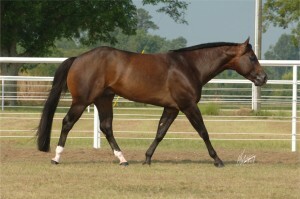 Take a look at this beautiful mares pedigree and see for yourself the depth of pedigree here! 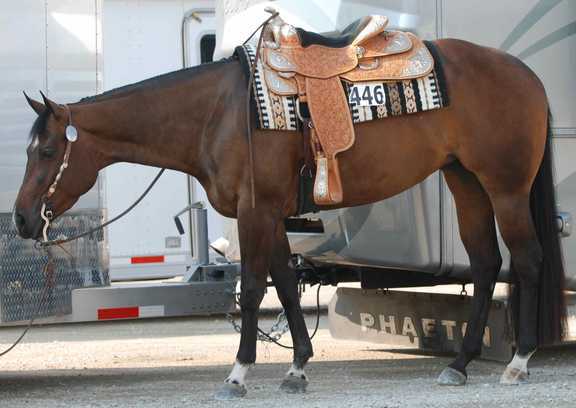 She herself is a lovely young western performed mare, her longe line championships at The All American Congress and NSBA are testiment to her beautiful easy way of going, her introduction to the show pen has resulted in green WP futurity wins and Grand Cham Champion as well. She is from an absolutely fabulous CONGRESS WESTERN PLEASURE CHAMPION and is from a Reserve World Champion full sister to a world champion. This pedigee is full of greats. Please read and enjoy her pedigree. We are very proud to introduce her to you and look forward to breeding great foals from her. She will be bred to HF SOMETHIN HOT and LAZY LOPER in 2014. 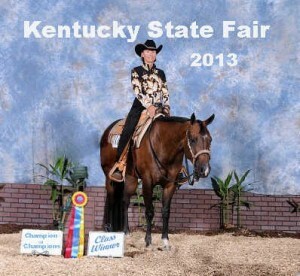 AQHA NATIONAL YOUTH CHAMPION with SIENNA HUMPHRIES ABOARD. National Snaffle Bit Association $15,776.88. REICHERT CELEBRATION $250,000 Open Western Pleasure CHALLENGE 7th. 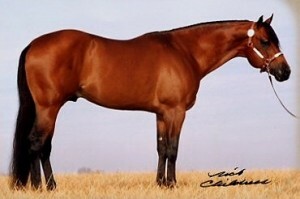 An outstanding sire, consistently producing WORLD SHOW CHAMPIONS ~ REICHERT CHAMPIONS~ CONGRESS CHAMPIONS.